Colorado voters have approved a referendum that supports the legalization of marijuana on a recreational basis. Amendment 64 in Colorado will amend the state constitution to legalize and regulate the production, possession, and distribution of marijuana for persons age 21 and older. "The voters have spoken and we have to respect their will," Colorado Governor John Hickenlooper said in a written statement released by his office. "This will be a complicated process, but we intend to follow through. That said, federal law still says marijuana is an illegal drug so don't break out the Cheetos or gold fish too quickly." Similar provisions on marijuana use were also on the ballot in Oregon and Washington. Washington State voters on Tuesday cast their ballots in support of an unorthodox way of raising tax revenue: marijuana legalization. The measure, Initiative 502, will legalize and regulate the production, possession and distribution of cannabis for persons age 21 and older. The Washington referendum called for a 25% tax rate imposed on the product three times: when the grower sells it to the processor, when the processor sells it to the retailer, and when the retailer sells it to the customer. It's not clear exactly how much tax revenue legalization would bring in. Estimates for the Washington measure run as high as $500 million - a figure analysts say is overstated. 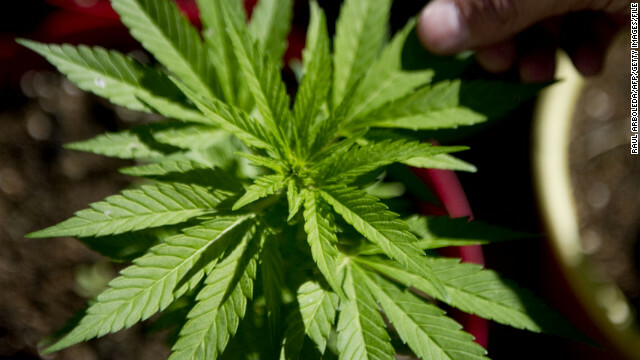 Two other states, Colorado and Oregon, were also deciding whether to legalize marijuana. Voters in three other states - Arkansas, Massachusetts and Montana – voted Tuesday on medical marijuana referendums. Oregon voters soundly defeated an Election Day ballot initiative that would have allowed the commercial cultivation and sale of marijuana to adults. Measure 80 would have legalized pot through state-licensed stores, allowed unlicensed cultivation and use of marijuana by adults and prohibit restrictions on hemp. Obama should probably pass an amendment on the federal law so it's not applicable to states that legalize it. That will prevent any unnecessary chaos. When I was 15-mid 20's I was a stoner you could say. I was a paranoid smoker and never felt that comfortable in public when I was smoking or just after. I live in CO and now that this law has been passed I am no longer a smoker. (of course that's the way it always works right?!) I am very happy for this and have always supported the legalization of Weed whether I am a smoker or not. This is a huge step in the right direction. How can anyone argue the fact that marijuana is better than alcohol, or cigarette!? Look at how many people are killed by alcohol and cigarettes alone! Now, how many people has marijuana killed? Finally this market is taken from the criminals and cartels and put into the right hands. "More and more symptoms are responding and more and more stress responds to marijuana." @Shishmon Bailey: Rephrase that in English, impossible to decipher which side you're taking. And @ Aficion: You're incorrect, just as small little mom and pop grocery stores are making their means, local Cannabis dispensaries will do far better even. The majority of pot smokers would not fund large corporations when we could support local product, as we tend to be of "hippy" mentality. Although I don't want regulated legalization because Cannabis shouldn't even be regarded in any laws just as tomatoes are free to grow, this is still a step in the right direction and many more jobs would be created. "That said, federal law still says marijuana is an illegal drug so don't break out the Cheetos or gold fish too quickly." Hey Lickinpooper: could you be any more condescending? If "the big corporations" take over production, where are they going to get the employees to working at their manufacturing plants? Maybe hire some of these jobless people for job? States should be left alone by the feds. the people have voted. The people are tired of watching Parm drugs kill 140,000 Americans per year and pot never has killed anyone. Now we need the hemp industry to be able to compete with the oil companies over fuel and pesticides. Farmers whom grow hemp use it in rotation with food crops, the hemp grows faster than weeds and chokes them out. No deadly sprys or tradmarked seeds for roundup ready crops. Hemp and Pot are the answer to many issues for many communities.